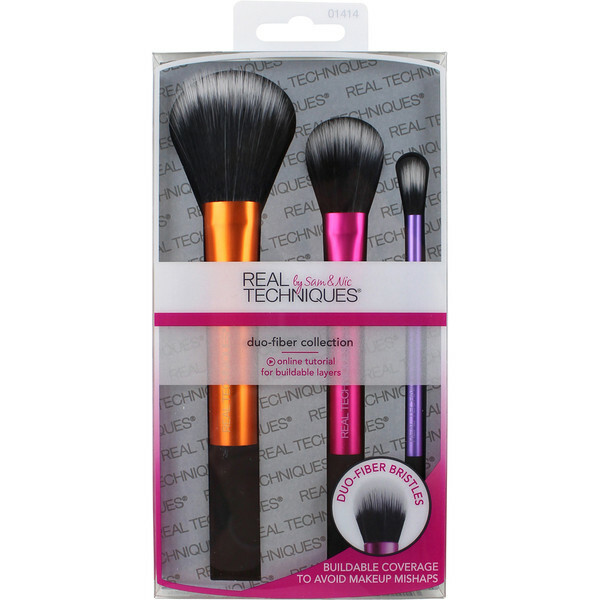 Create buildable colour and add texture to look pixel perfect for any occasion and in any light with this first and only duo-fiber set: Real Techniques Duo-Fiber Collection includes 3 brushes: Real Techniques Duo-Fiber Face Brush for lightweight application. Real Techniques Duo-Fiber Contour Brush for controlled contouring and sculpting. Real Techniques Duo-Fiber Eye Brush for finishing touches to the eye. 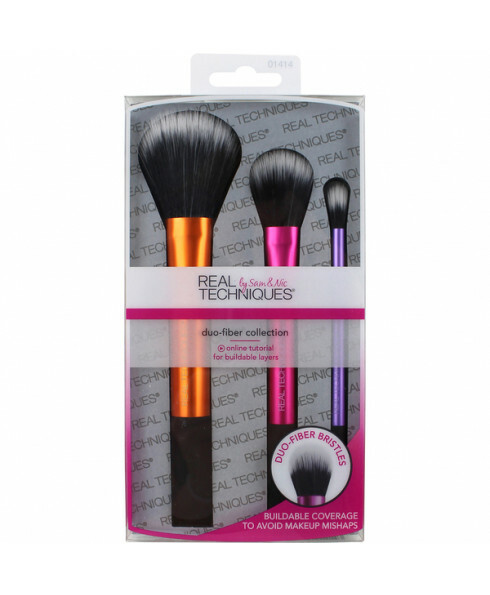 A true multi-tasker duo-fiber bristles work with cream, liquid or powder for an unbelievably air-brushed finish. Ultra-plush, synthetic taklon bristles are hand-cut and 100% cruelty-free, extended aluminum handles are light and easy to use.